Last year, when I was working for an energy-water MNC, my body clock and food habits took a toll on my B12 levels. I had to get up early morning, brew my cup of coffee, sip it along with a slice of bread and drive to my workplace. I had to spend the entire day in the office which was completely air conditioned with absolutely no way of getting sunlight. During winters, it became such a pain that I developed a neck sprain that turned into a serious B12 deficiency-related bone-joint issue. When I went to a nearby neck & spine clinic, the doctor suggested a blood test and bang! My B12 levels had reduced to less than 70 which are considered “alarming”. Yes, I am predominantly vegetarian and the doctor asked me to go for a diet rich in B12 along with 6 Vitamin B12 shots! Wondering why I took it seriously? ‘Cause Vitamin B12 builds up the genetic material we need for our blueprint – DNA. Most vegetarians suffer from B12 deficiency because only animal products, diary products and meat are rich in vitamin B12. Most vegetarians are unaware of this (at least I was) and end up developing a deficiency of Vitamin B12. Essentially, Vitamin B12 is soluble in water and plays a major role in cell metabolism. It consists of cobalamins, a small group of compounds important for healthy blood and growth, and child development. It helps to keep the eyes, brain and nervous system functioning normally too. Someone who suffers from a B12 deficiency experiences symptoms like light-headedness, lack of energy, fatigue, joint pain, stomach upset and unhealthy weight loss, sore tongue, easy bruising bleeding (especially gums), rapid heartbeat and breathing, and pale skin. Vitamin B12 deficiency may also cause permanent nerve damage. Those who suffer from a serious B12 deficiency should consult a physician immediately. Usually, you will need 6 injections of B12 to restore the normal levels. 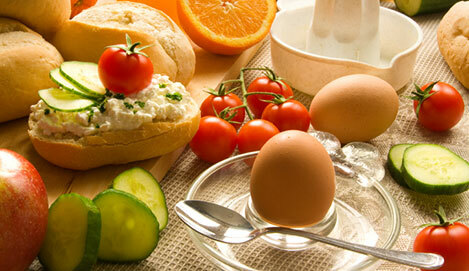 However, the ideal way to increase your B12 levels is to eat enough meat, poultry, seafood and eggs. If you’re a vegetarian and don’t eat any animal products, not even dairy, experts suggest you take B12-rich supplements available over the counter. Eating breakfast cereal fortified with B12 is also a great option.